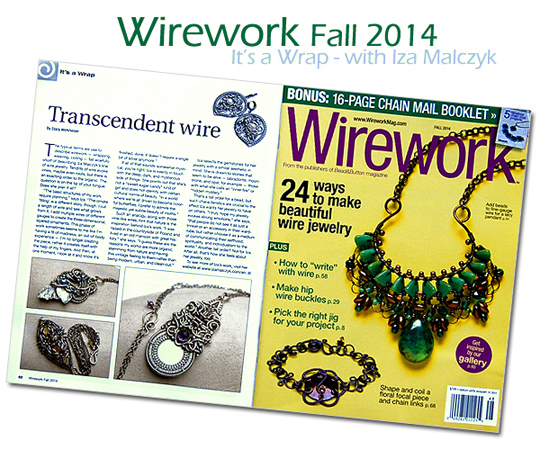 I was featured in the It's a Wrap page of Wirework Magazine, Fall 2014. 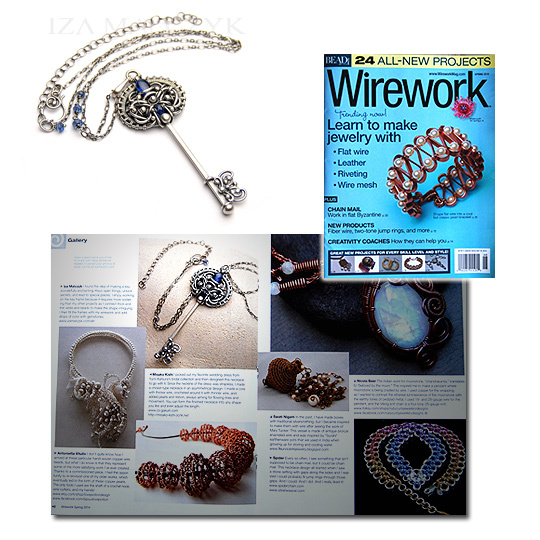 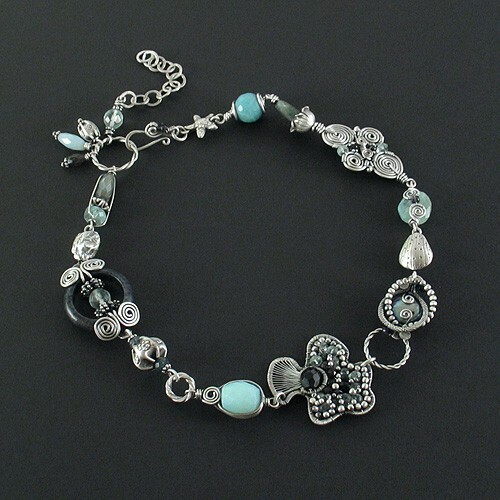 My Cobalt Suite key pendant was featured in the Gallery section of the Spring 2014 issue of Bead&Button's Wirework magazine. 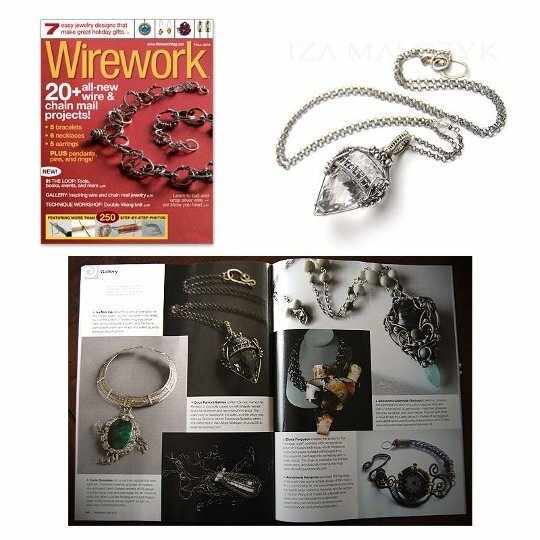 My Ilma pendant was featured in the Gallery section of the Fall 2013 issue of Bead&Button's Wirework magazine. 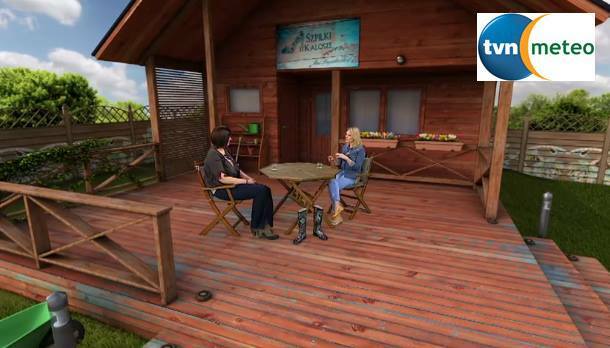 In Spring 2013 I was invited by Maja Popielarska to talk about my jewelry and my other passion - gardening - in a TV show "Szpilki i Kalosze" ("Heels and Wellies"). 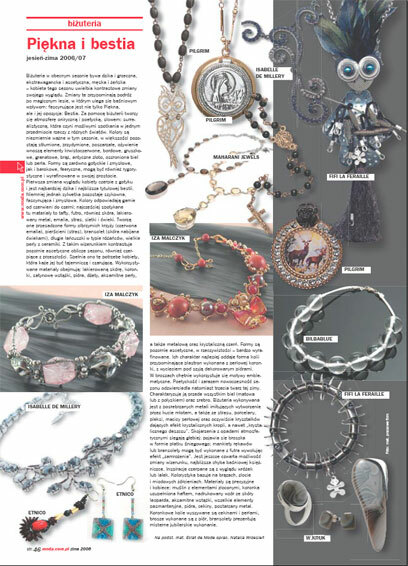 Interview about the wire-wrapping technique in the Polish Jeweler magazine 03/2012. 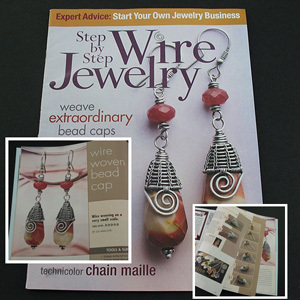 Tutorial / Cover of the Step By Step Wire Jewelry Magazine, Summer 2007. 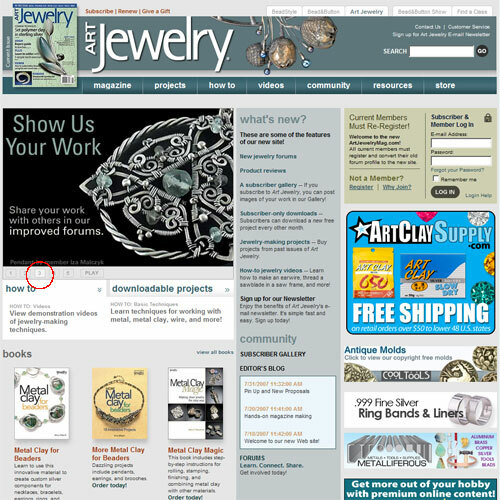 Evening Fashion: Rozwaznie z Rozmachem (Prudently with Verve), Earrings GOLD SKY.